Not much has changed from last week because Xur is offering most of the same stuff. The Iron Banner has been back for a few days now and it’s great. Like really great, at least for me. The Crucible has been loads of fun and getting some good drops for gear and weapons has been pretty good too. Overall, I’ve missed the Iron Banner. It’s lined up again with Xur and ends in the next three and a half days. You can find Xur over at the nightclub that’s by Amanda Holiday at the Tower. Getting to that location is pretty simple, just head right once you spawn in at the Tower and follow that path until you reach the hanger. From there, just keep walking straight until you hit the night club and find Xur in the back being a loner and not enjoying the party. Or at least he is in his own way. He’s got the goods you’re looking for. Not much has changed from last week because Xur is offering the same stuff other than a different Warlock gear and the exotic weapon bundle. Check it out below. Xur is also offering the usual upgrade to your Sparrow, which includes the Plasma Drive, or the Emerald Coil for 23 Strange Coins. There’s also Heavy Ammo Synthesis for 1 or 3 Strange Coins, Glass Needles for 3 Strange Coin/3 Mote of Light/1 exotic shard, a Mote of Light for 2 Strange Coins, Exotic Shard for 7 Strange Coin, and Three of Coins is available for 7 Strange Coin. 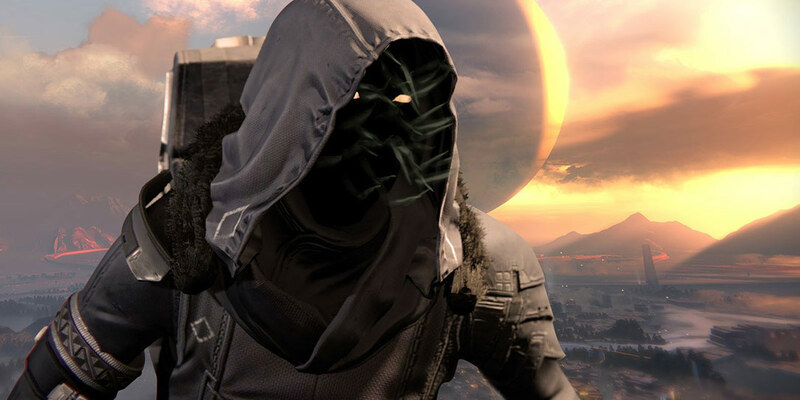 What are your thoughts about Xur’s offerings this weekend? Let us know by leaving your comments down below, or on Google+, Twitter, or Facebook.